This authentic Mexican salsa verde recipe is better than anything that you will find in your favorite Mexican restaurant, and it goes well with everything! 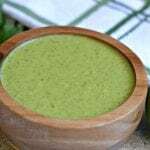 Para Ver Esta Receta de Salsa Verde en Español, Haz Click Aquí. I’m sure you have experienced going to a Mexican restaurant, and the first thing they do is bring out chips and salsa. Am I right? 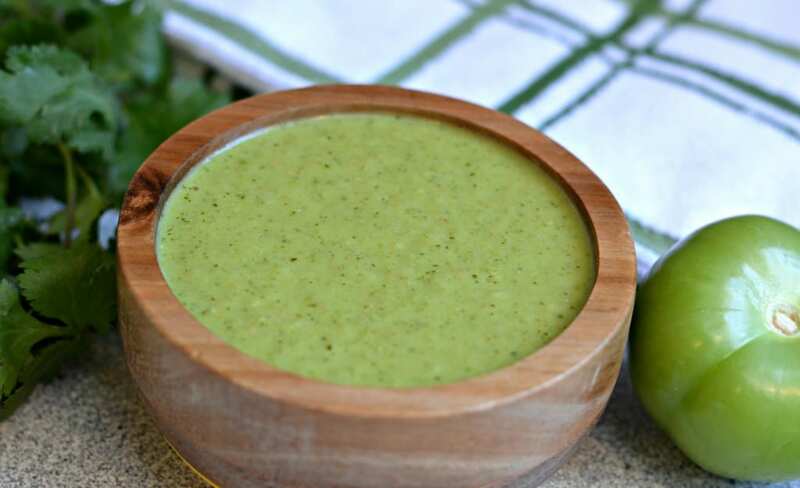 Well now, you can skip the restaurant and make this delicious authentic salsa verde from the comfort of your home, and spoiler alert – it will be even better than what you would get at the restaurant! Without a doubt, this is a salsa that, once you’ve tried it, you won’t want to live without it. It is also delicious with some homemade tortilla chips. In Mexico, you will literally see different types of salsas with every meal. Also, the typical Mexican home will always have tortillas and salsas on the table to accompany every meal. Salsa verde can be prepared in many different ways. It can be made with roasted or raw tomatoes, and it can be combined with many different types of herbs. It can also be very thin or a little bit thicker. Whatever method of preparation you choose, tomatillos – or green tomatoes – are the star. This recipe is super simple and consists of only 5 fresh ingredients. The great thing about this recipe, is that how spicy it is is determined by how many jalapenos you add. Personally, I like this salsa very spicy; However, since I am always cooking for my husband and children as well, I usually have to tone it down a little bit. Another reason that I love this salsa verde recipe, is because I learned how to make it alongside my sister. She is an excellent cook, and I love that most of the memories I have of growing up with her are somehow related to the kitchen. I always loved how she made salsa verde, but I had never really asked her directly for the recipe. Then, a few months before I got married, and knowing that we probably wouldn’t see each other for awhile, she called me into the kitchen and told me that it was time to teach me how to make her “famous” salsa so that I wouldn’t miss it too much. Even though it is a very easy recipe to master, I am so grateful for the time that we were able to spend, laughing and cooking together. That is definitely one of the reasons that this is my favorite salsa. I hope that you will enjoy this recipe as much as I do. Let me know if you have any questions in the comments below and I will answer as soon as possible! Blender. You will want to have a good quality blender if you are going to make lots of salsa. I personally use this Blendtec, and I love it. There are many other options though, so feel free to shop around. Knives: Making fresh salsa requires cutting a lot of vegetables. Make sure you have a good knife set, like this one, so that you are never left with a dull knife. This is the most delicious salsa verde recipe ever and it is easy to make. Slowly saute the tomatillos, the onion, and the jalapenos in a preheated frying pan with some olive oil for 5 minutes. 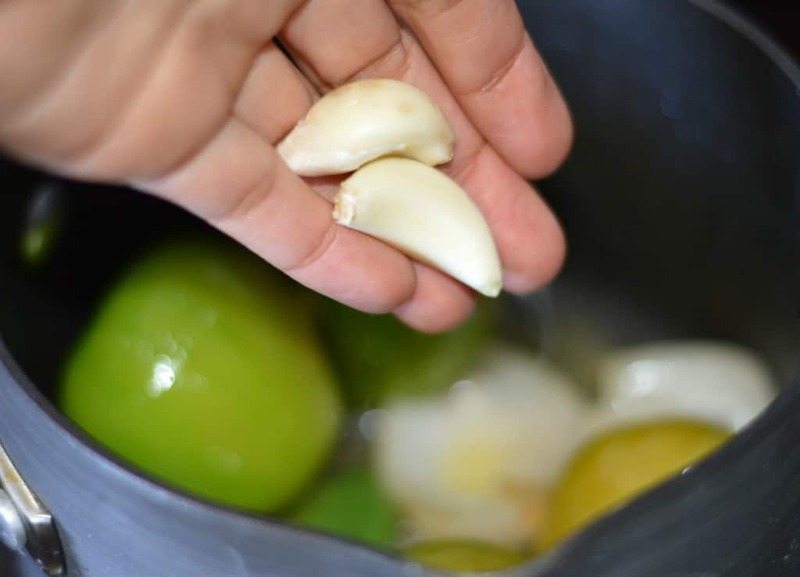 After 5 minutes, add the garlic cloves and continue cooking until the tomatillos are slightly browned. 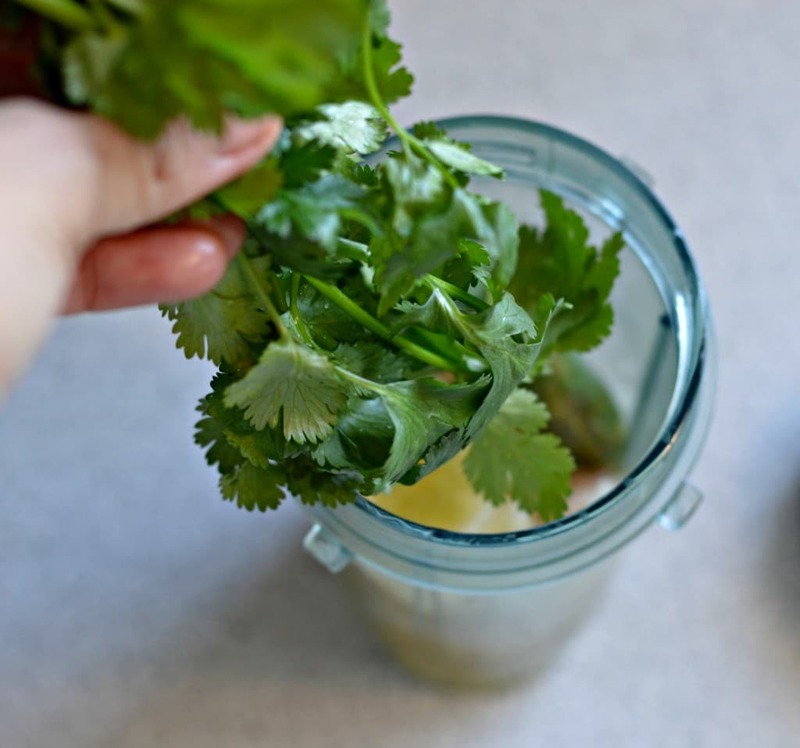 Remove from the heat and blend the ingredients with the cilantro and salt in a blender. If you want a thinner consistency, add a small amount of water. We had a fundraiser at church and for our taco sales I had to make the salsa verde. I followed your recipe but increased for a gallon of salsa and it came out sooo delicious that my salsa was the first one to sell out!! Thankyou so much for posting it!! Thanks for the comment Nilda! I am so glad it turned out well for you. Your salsa rojo was delicious! Even better than the restaurant, & SOOO easy! Muchas gracias amiga! I’ll be making this a lot! Can’t wait till my tomato garden is back in season…could it possible be better?!?! Wow! This looks amazing! I have searched the internet for the perfect recipe for my first time making my favorite salsa, and this is the one I will be making today. 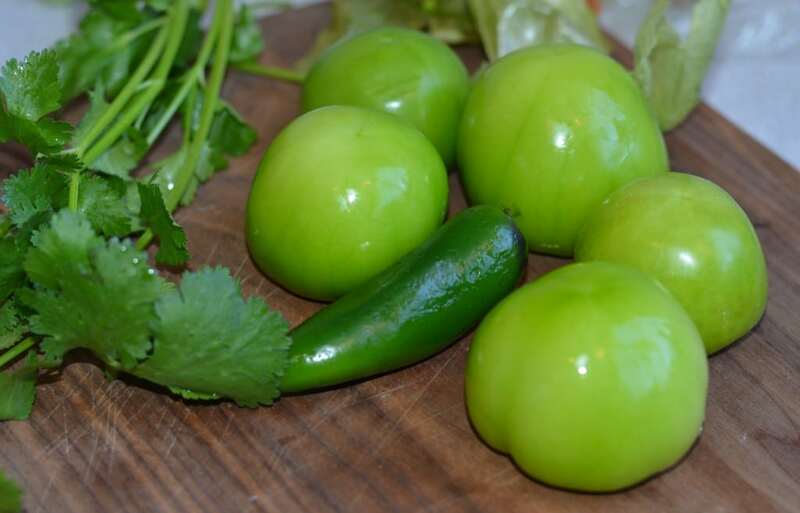 Do you recommend cutting the tomatillo up in quarters before sautéing? Hi Pamela, I’m sorry for the delayed response! You can definitely cut them up into quarters or halves before sauteing. I usually keep them whole, but I have cut them before and that tends to work. Hope it turned out okay! Hi Wanda, I have never tried making this with poblanos. I supposed you could use them, but the taste will be different since poblanos and jalapenos are quite different. If you do try, please let me know how it turns out.